Temple believes she experiences life like an animal. Her emotions are much simpler than most people’s and she feels constantly anxious. 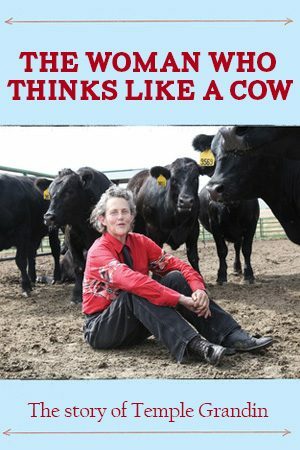 It’s this struggle with overwhelming anxiety that led her to discover just how much she has in common with animals and, in particular, cows. Using her ability to observe the world through an animal’s eye, she has been able to make an enormous impact on animal welfare. Her greatest achievement has been in the area of slaughterhouses – she has fundamentally changed the way animals are held and slaughtered. Today she’s an associate professor of animal science, a best-selling author and the most famous autistic woman on the planet. This is her story.